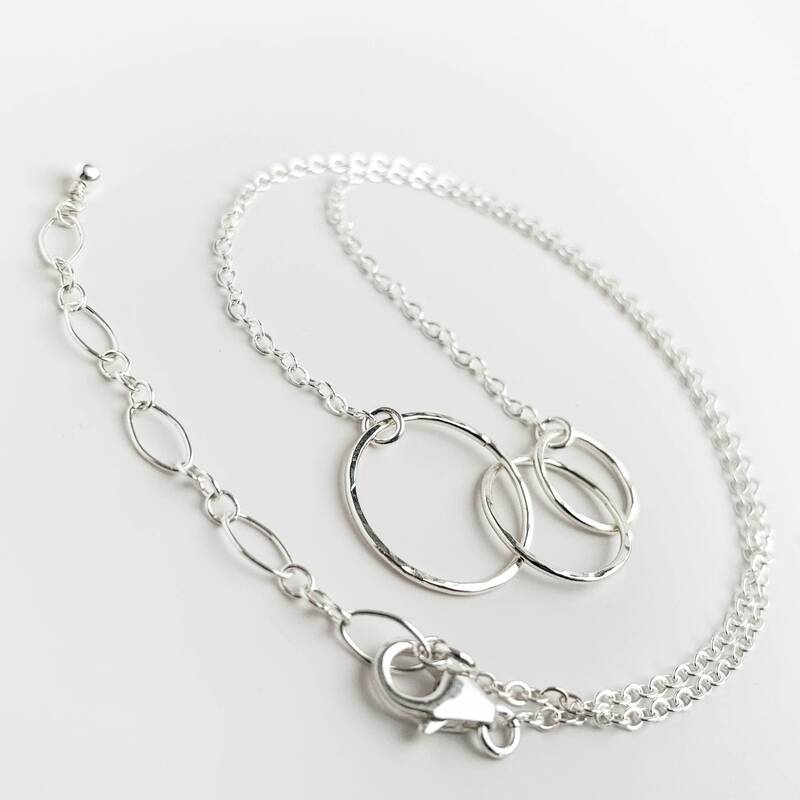 * The sterling silver chain is adjustable and you have your choice of length. Standard is the 16" adjustable to 18". 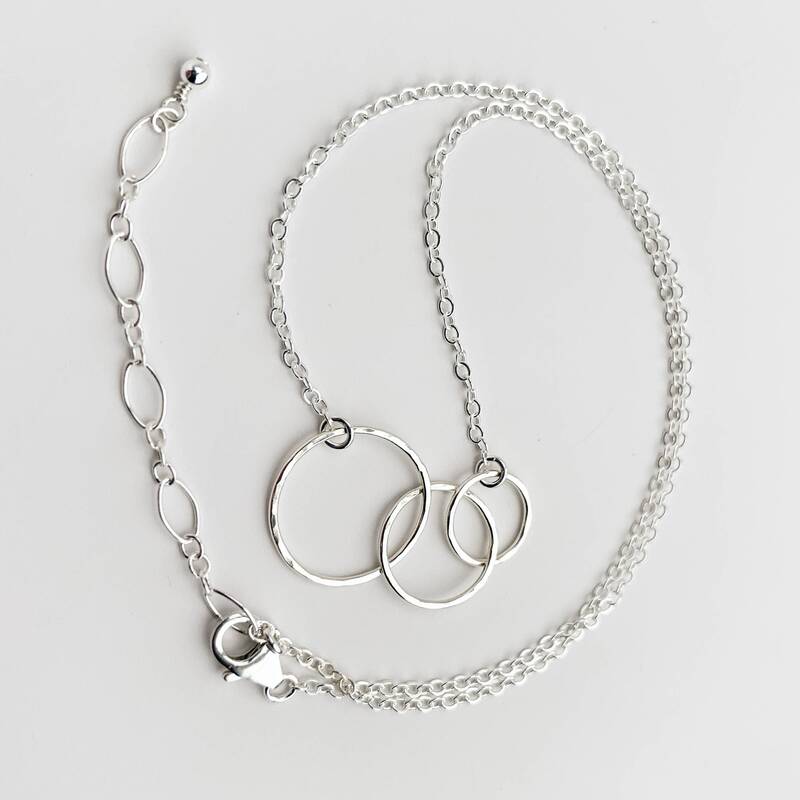 Each chain will have a lobster claw clasp and built in 2" extender chain. 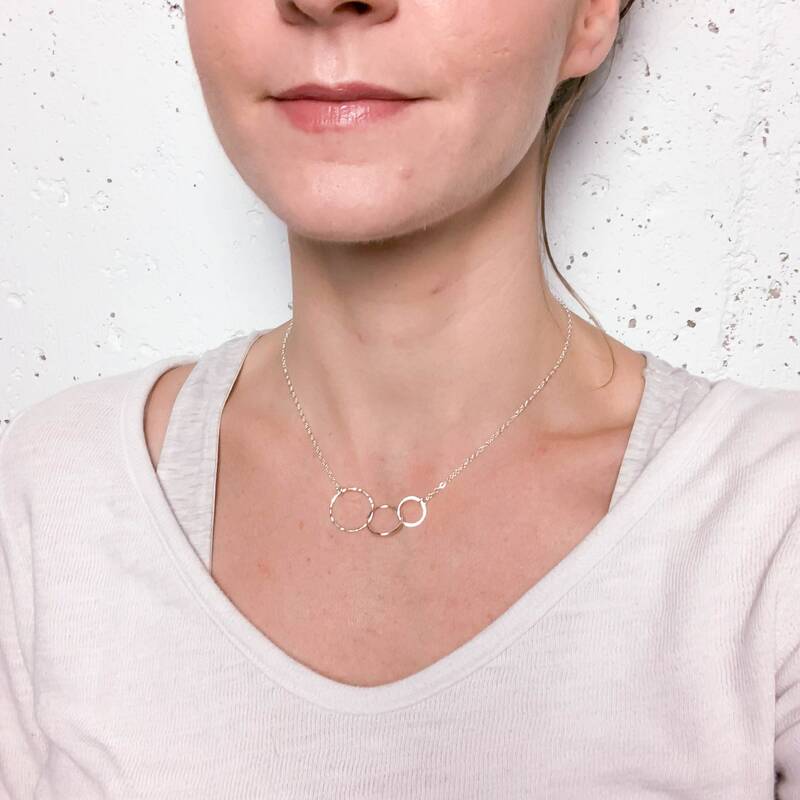 * The sterling silver chain is a delicate flat cable link, this is lightweight but still super sturdy and perfect for daily wear. 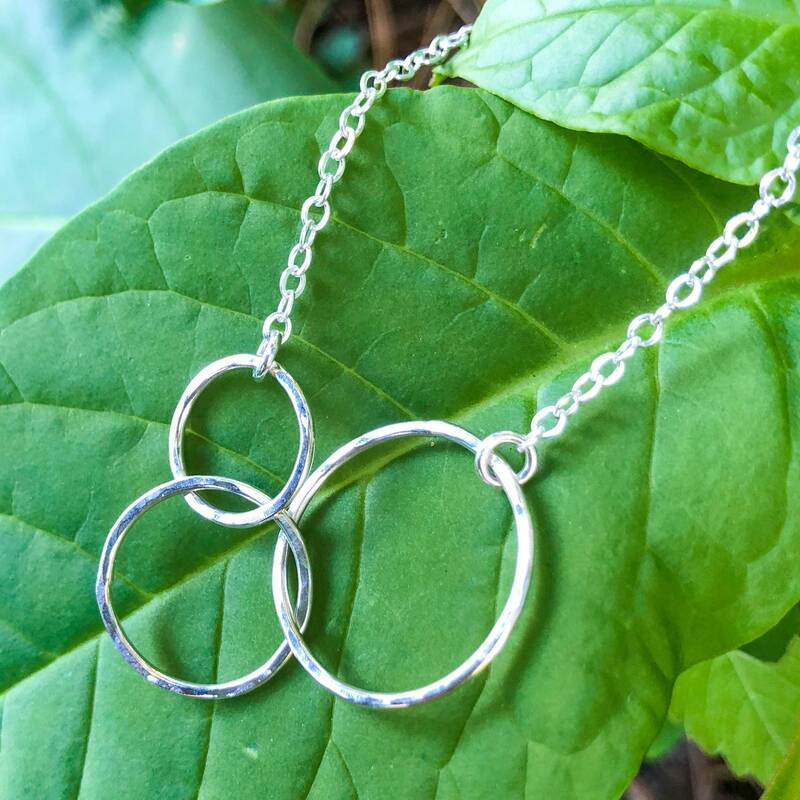 This unique necklace is handmade with solid, nickel free sterling silver. 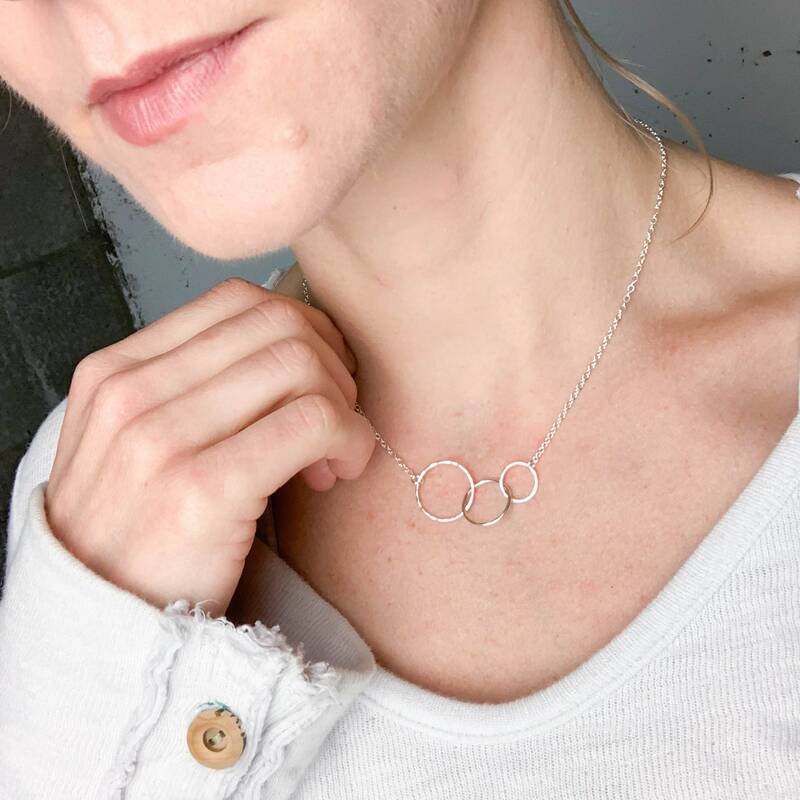 The circles are formed by hand, soldered, hand hammered for texture and dimension and then polished to a high reflective shine to catch the light just right. 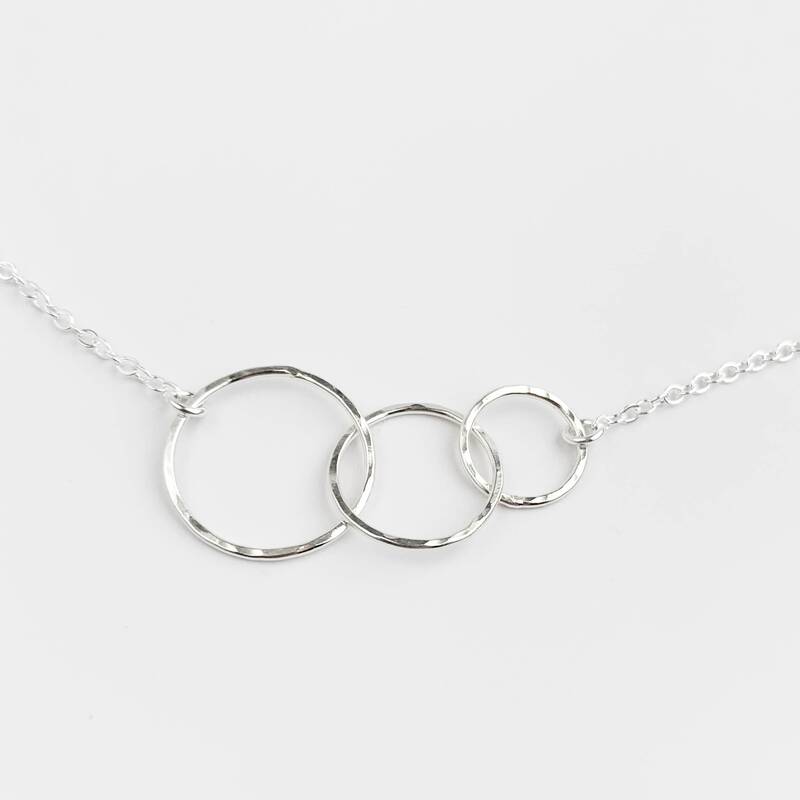 This is a more delicate version of our original three circle necklace. 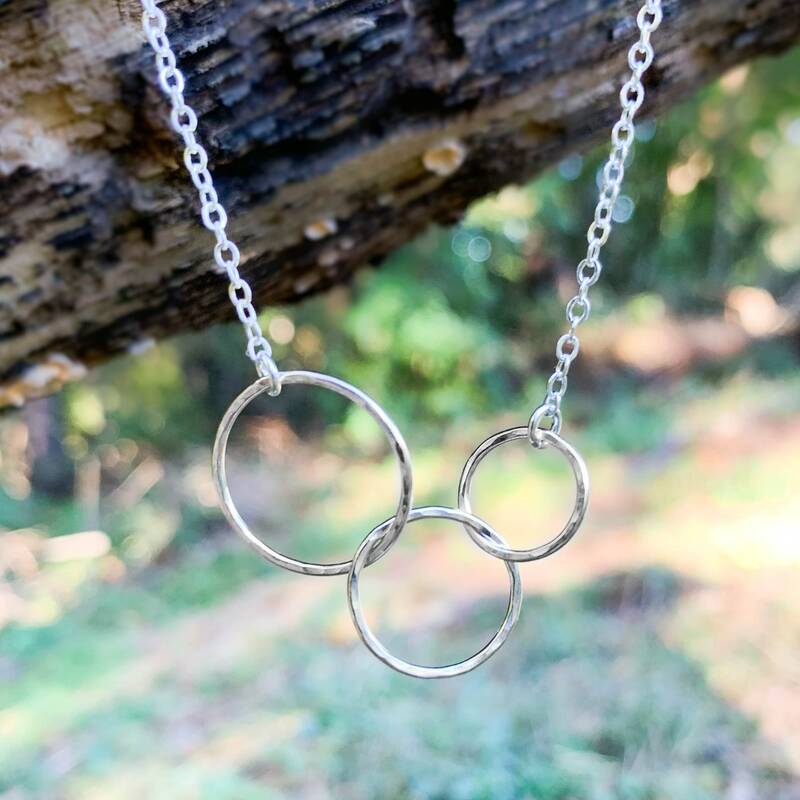 This one was created to be lightweight, comfortable to wear and with smaller circles. 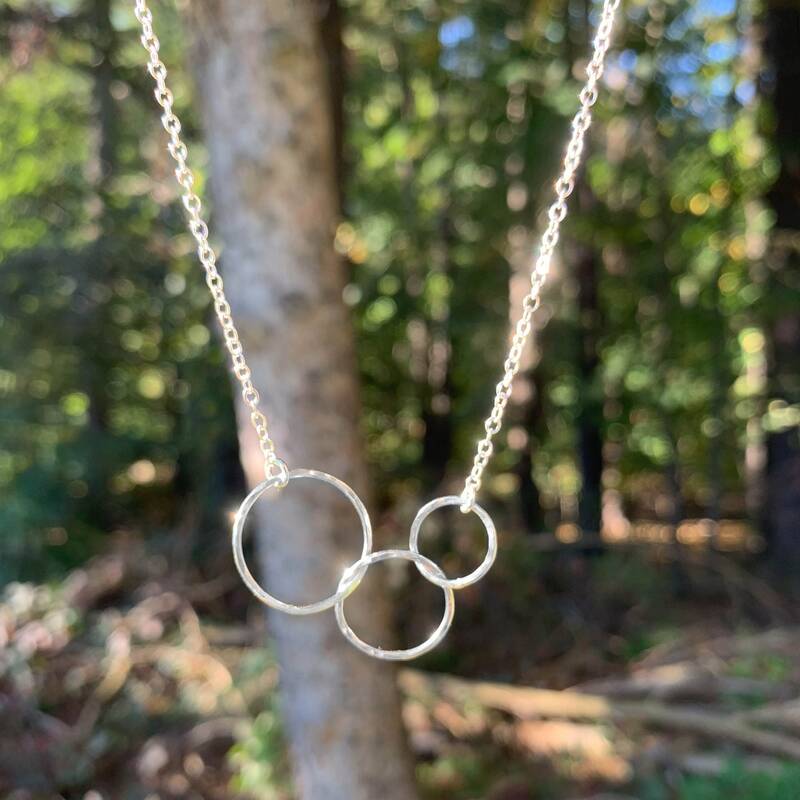 The largest circle measures .75" across and the smallest one is just under a half inch. 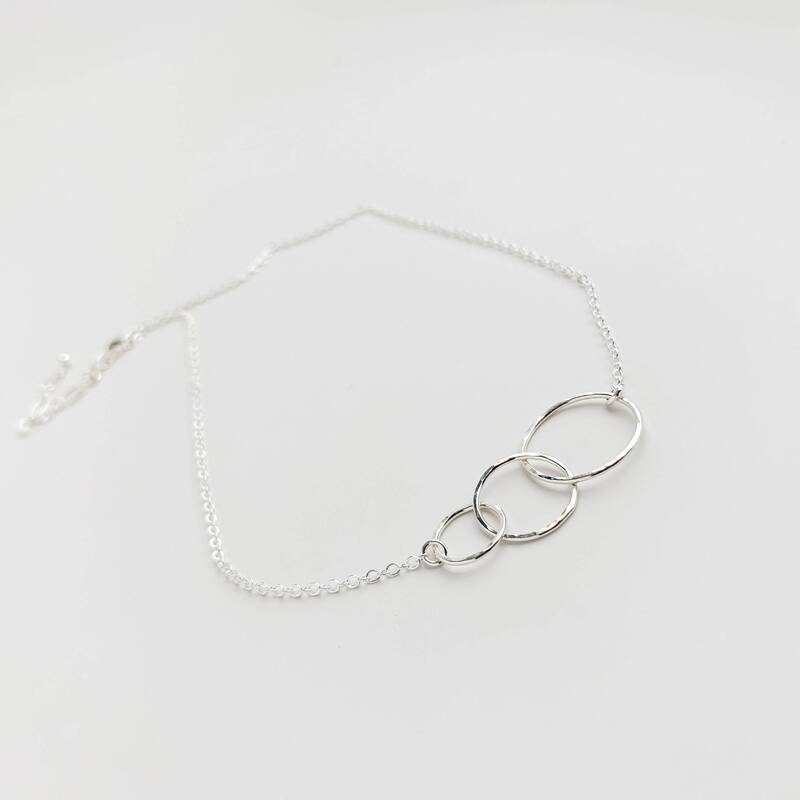 This is the perfect everyday necklace and looks great layered in with other pieces for more of a statement. Absolutely beautiful! 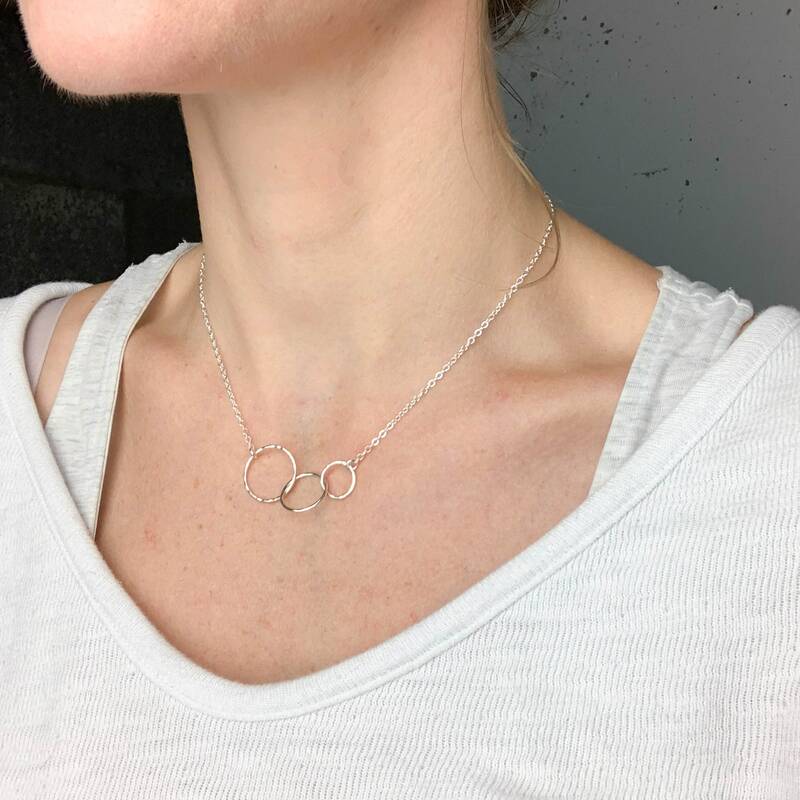 Bought for my mom for Christmas and she loved it! I love it. I haven't taken it off since I got it.